History repeats because human nature never differs. I have warned that Albert Einstein was correct: you can NEVER solve a problem with the same line of thing that created the crisis. NEVER has anyone in power EVER concluded that they are the cause of a crisis – it is always someone else. They were the same people in school who didn’t do an assignment and blamed the dog for eating it. 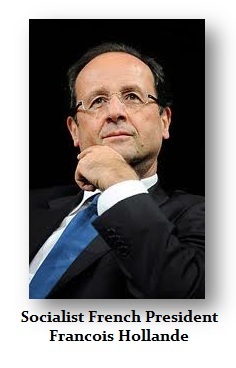 French President, Francois Hollande, has called for the 19 countries using the euro to move rapidly to complete a full socialistic state for Europe with a budget and parliament to relieve the individual governments of their failed socialistic agendas. If anything will cause the collapse of the euro, this is it. Hollande argues that the Greek crisis illustrates the problem and, of course, it was not their failed dreams, rather it was the lack of a federalized Europe, where people have no vote whatsoever on any Troika member. The individual governments are going totally broke. Pensions will tear Europe apart and girls in their early 20s are looking for husbands twice their age or older because there is no hope for the youth with unemployment over 60% in so many areas. The social changes are becoming dramatic for the entire dream of socialism has only lined the pockets of government workers at the expense of lowering living standards for the people. They promised this would be a trade and economic union from the outset and denied there would ever be the United States of Europe with one government. In an attempt to force their dream upon everyone else, whether or not they agreed, the politicians look upon any dissenter as being too stupid to appreciate what the elite had in mind. There is little doubt that the Euro Crisis will continue and there is zero chance that this will end nicely. Those in power just cannot conceptualize the sad fact that this is the total and complete failure of government from the outset. 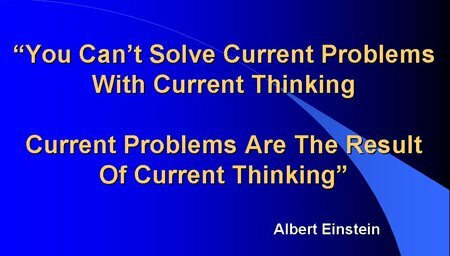 There is no hope of resolution for precisely as Einstein warned, there cannot be a solution with the same flawed line of thinking. When it fails, the solution is always to grab more power to force the economy to do whatever the politicians’ desire. This is how and why no empire has ever lasted, for they all crumble back into the ashes from which they originally sprang. The ECM turning point actually straddles Sept 30/October 1 (Wed/Thurs). 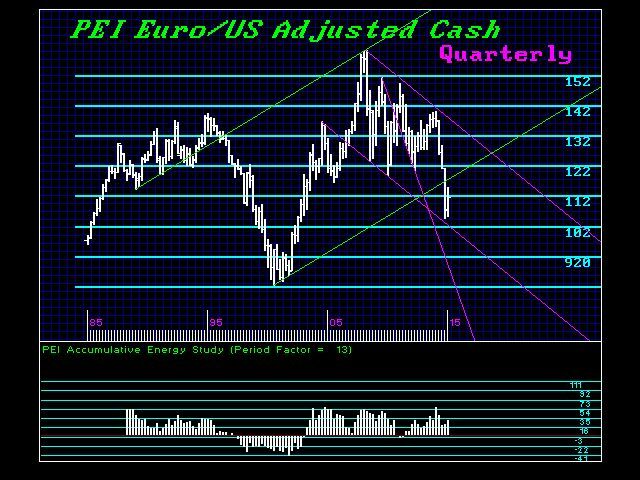 September is a big turning point in the euro and a Directional Change. It pains me to warn, but we are facing economic totalitarianism and the end of any democratic form of government. There appears to be a possible cycle inversion in interest rates. In a financial crisis, rates typically fall and there is the flight to quality. Yet with rates so low and governments in serious trouble financially, the market appears likely to force a rise instead of a decline in the post-2015.75 era. Volatility will begin to rise in November into January, as confidence is shook. This will NOT be the typical trading pattern. This is going to make it extremely difficult to grasp and the vast majority will have to be wrong, adding to the confusion. 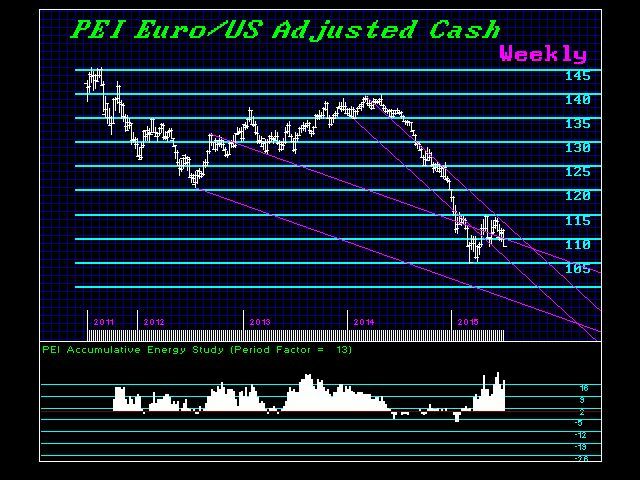 Expect to see a rise in volatility as the euro to enter a very bearish trend. Our Energy Models are still positive, warning that there is significant downside on the horizon for so many people who keep believing in the power of the Troika.